Having spent time on the luxury footwear sales floor, Patrick Cornish learned the value of a well made pair of shoes. Using his frontline knowledge he built NobleSole from the ground up and is ready to take on the men’s shoe market. NobleSole’s latest limited edition collection of premium quality footwear is available online. Made in Portugal using Italian calf skin leathers and other quality materials to ensure fit and comfort, these shoes should easily sell for double the retail price. Before their public release, Patrick shared samples of the line with the STM team for the following shoot. See our exclusive images and read the full #stmINTERVIEWED below to learn what makes NobleSole shoes so comfortable, how Patrick keeps the prices at half of what they should be and which pop mega star owns a custom pair of shoes designed my Patrick himself. 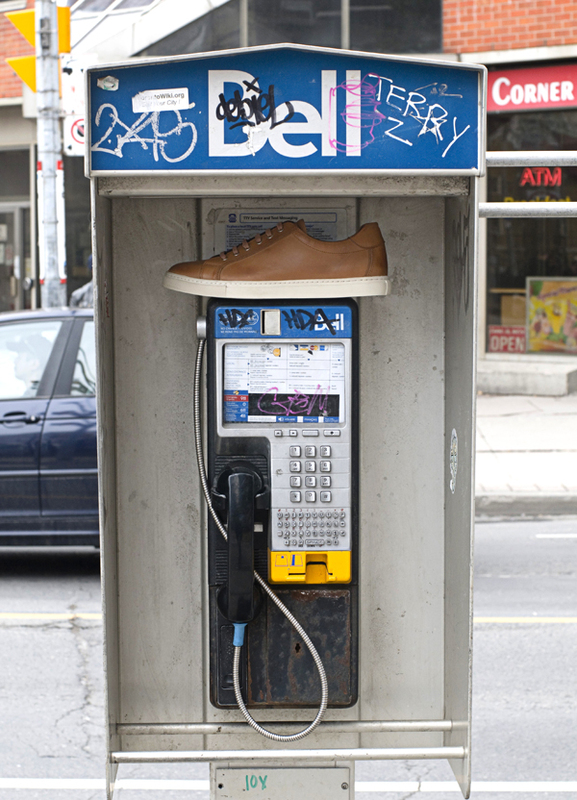 Q – STM – What inspired you to enter fashion and to launch a Canadian shoe brand over other products? A – Patrick – I started out designing graphic t-shirts but found myself more attracted to material and texture. Shoes were where my real passion lay and sneakers were a natural progression from there. Q – STM – Who do you design for? What void do you hope to fill with NobleSole? A – Patrick – There are so many elements to this question. I don’t design for any one person. I design for the guy who wants to get into the designer/luxury shoe game but finds the prices unrealistic. Or the sneakerhead who finds himself maturing and wants to leave the AF1s and SB Dunks behind. Or the guy who has a closet full of luxury shoes but is happy to save a bit of money without compromising on quality. 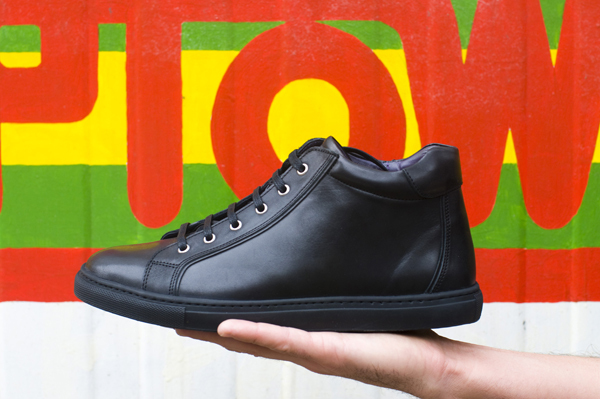 Q – STM – Have your daily experiences/personal style influenced your brand and this line of shoes? A – Patrick – Of course! Although I don’t wear suits that often, I’ve always been drawn to the sneaker and suit look. So the question, “Can I wear these shoes with a suit?” always goes through my head. But most of all, I like the idea of a clean shoe that goes with any look. From jeans, to something edgy, fashion forward, conservative or business casual, it’s a classic sneaker that blends seamlessly with any style. We’ve all bought shoes that we thought were cool, then got home and realized they only go with one outfit. NobleSole isn’t like that at all. Q – STM – Where did the name NobleSole come from? 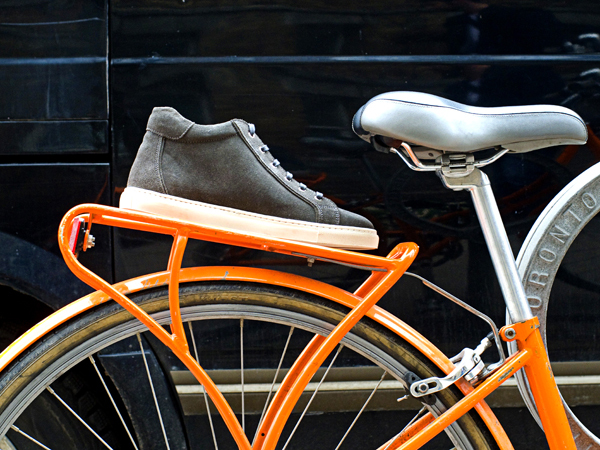 A – Patrick – In a sense, NobleSole can be thought of as Royal Sneaker. Initially the name was chosen as a way of elevating the perception of the sneaker as more than just a casual shoe. 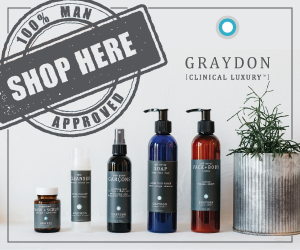 In another sense, a guy can “ennoble” himself by wearing NobleSole because, rather than spending $100-$200 on a whatever shoe, he can get a truly luxurious product for pretty much the same price. Q – STM – What were some of the obstacles you encountered while producing samples? What did you learn? A – Patrick – I initially tried developing styles in China but simply couldn’t achieve the quality and aesthetic I required. After 2 years I travelled to Portugal and attained what I was looking for on the first shot – it was quite impressive. From that experience, I learned that there’s something to be said for the accumulated knowledge of craftsman who have dedicated their lives to their profession. Q – STM – What makes NobleSole shoes so comfortable compared to other shoes on the market? 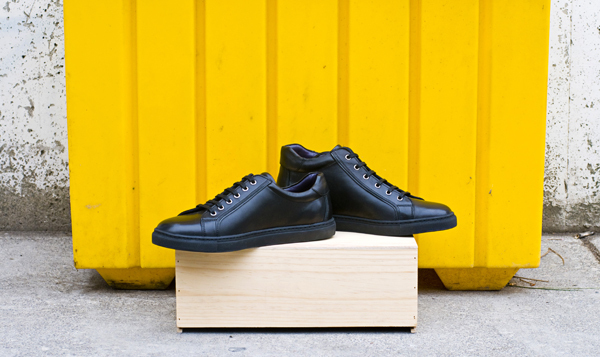 A – Patrick – First and foremost, we use Italian calf leather for our uppers AND linings. Calf leathers are quite soft and mold to your foot quite nicely. 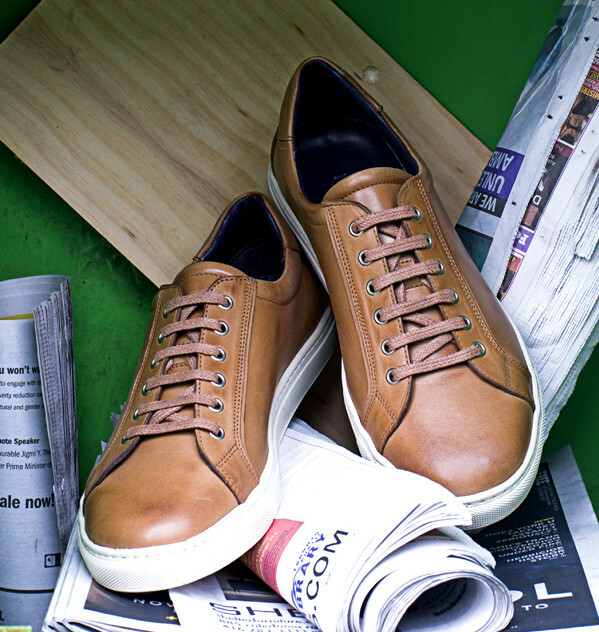 Using the same leather for the lining just helps the shoe give your foot a hug so to speak. In addition, we use PU footbed which again shapes to your foot and doesn’t fold in half when you take the shoe off. 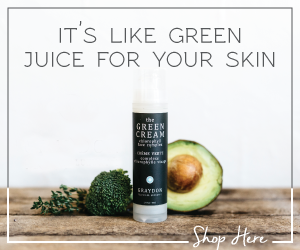 Q – STM – Why have you chosen to sell online and not to wholesale to retailers? A – Patrick – We’re entering a new world. Traditional brick-and-mortar retail is going to have to change drastically in order to compete with a new wave of online brands. By foregoing the traditional wholesale route, NobleSole can offer much better value to our customers. Rather than wholesaling our shoes and having them retail between $400-$600, we sell directly to consumers at what would be our wholesale price. I believe that every guy out there is worthy of a great quality shoe and by selling exclusively online gives guys access to great shoes without paying through the nose. Q – STM – You have designed a few private label lines, one for Hard Candy Fitness as well as a few pairs for Madonna herself. What was this experience like? A – Patrick – It was cool. It was an honour to be asked to do that and the collection turned out really well. I had a couple of pairs made up especially for Madonna when she visited Toronto for the HCF launch. I never actually met her, but its cool to know that she has something I created. 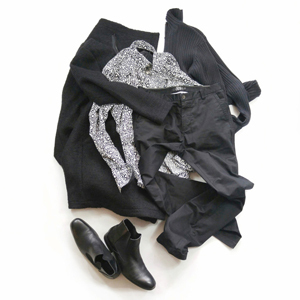 Q – STM – What is your personal favourite outfit to pair NobleSole shoes with? A – Patrick – My go-to outfit is a pair of jeans and a field jacket. I’ve been wearing the Cassius a lot, but I’m really excited about switching it up for the grey suede Tudor mids. I also have a really nice light grey suit that’ll kill with the cognac Tudor lows – that could be my go-to look all summer long! Q – STM – Which Canadian menswear designers/brands do you admire and why? A – Patrick – I’m a big fan of Christopher Bates. He studied tailoring in Italy, did his time in the trenches in Toronto and has now moved back to Italy to take his business to the next level. Watching him grind it out over the years and build a name for himself has been really motivational. Also, the guys at Garrison Bespoke have come so far from their first little space on King Street. And they keep growing; it’s great to see. Make sure to follow @noblesole on instagram, @Noble_Sole on twitter and shop www.noblesole.com before this limited edition collection is gone! Behind the Artists: Judy Inc.